Personal Sponsorship Course for the 2015 season that includes a Nendoroid of the Hatsune Miku GT Project's exclusive mascot character, "Racing Miku 2015 Ver." Registration will be open from (Tues) Mar. 10 to (Mon) May. 11, 2015. - In the event order limits have been met, the registration period will end before the closing date. 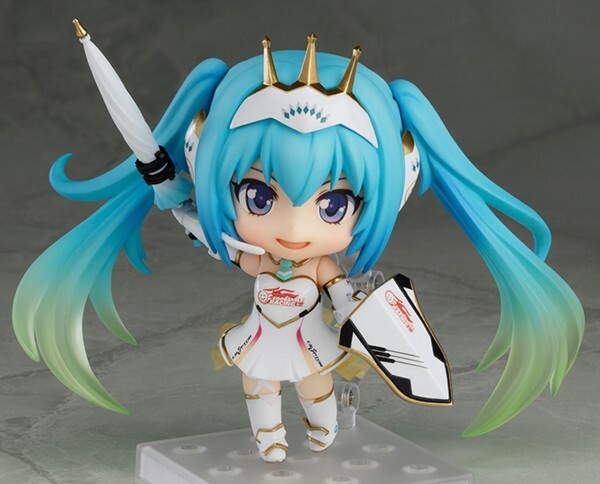 ・Nendoroid Racing Miku 2015 Ver. * Special benefit specifications and design are subject to change. * Please note that if you have ordered any 2015 Personal Sponsor Course, future orders will not includes this benefit. We appreciate your understanding.